The most commonly known facts about the artist Vincent van Gogh are that he cut off his left ear and presented it to a prostitute, that he sold only one painting during his lifetime, and that he committed suicide . Few realize quite how significant his contribution was to painting, that his adventurous use of color changed the direction of art. 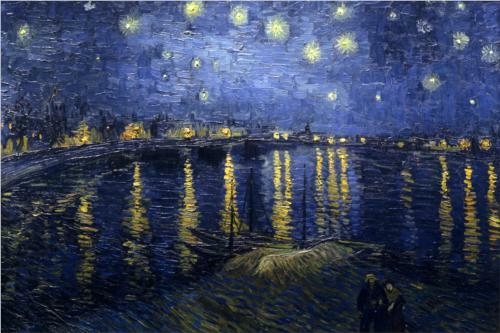 Van Gogh deliberately set about using colors to capture mood and emotion, rather than using colors realistically. At the time, this was completely unheard of. "Instead of trying to exactly what I see before me, I make more arbitrary use of color to express myself more forcefully." When he first devoted himself to painting full time, in 1880, Van Gogh used dark and gloomy earth colors such as raw umber, raw sienna, and olive green. These were very suited the miners, weavers, and peasant farm laborers who were his subjects. But the development of new, more lightfast pigments and his exposure to the work of the Impressionists, who were striving to capture the effects of light in the work, saw him introduce bright hues into his palette: reds, yellows, oranges, greens, and blues. Van Gogh painted very rapidly, with a sense of urgency, using the paint straight from the tube in thick, graphic brush strokes (impasto). In his last 70 days, he is said to have averaged one a day. Influenced by prints from Japan, he painted dark outlines around objects, filling these in with areas of thick color. He knew that using complementary colors make each seem brighter, using yellows and oranges with blues and reds with greens. His choice of colors varied with his moods and occasionally he deliberately restricted his palette, such as with the sunflowers which are almost entirely yellows. Vincent Van Gogh (30 March 1853 – 29 July 1890) was a post-Impressionist painter of Dutch origin whose work, notable for its rough beauty, emotional honesty and bold color, had a far-reaching influence on 20th-century art. After years of painful anxiety and frequent bouts of mental illness, he died at the age of 37 from a gunshot wound, generally accepted to be self-inflicted.His work was then known to only a handful of people and appreciated by fewer still. Van Gogh began to draw as a child, and he continued to draw throughout the years that led up to his decision to become an artist. He did not begin painting until his late twenties, completing many of his best-known works during the last two years of his life. In just over a decade, he produced more than 2,100 artworks, consisting of 860 oil paintings and more than 1,300 watercolors, drawings, sketches and prints. His work included self portraits, landscapes, still lifes, portraits and paintings of cypresses, wheat fields and sunflow. Van Gogh spent his early adulthood working for a firm of art dealers, traveling between The Hague, London and Paris, after which he taught for a time in England at Isleworth and Ramsgate. One of his early aspirations was to become a pastor and from 1879 he worked as a missionary in a mining region in Belgium where he began to sketch people from the local community. In 1885, he painted his first major work The Potato Eaters. His palette at the time consisted mainly of somber earth tones and showed no sign of the vivid coloration that distinguished his later work. In March 1886, he moved to Paris and discovered the French Impressionists. Later, he moved to the south of France and was influenced by the strong sunlight he found there. 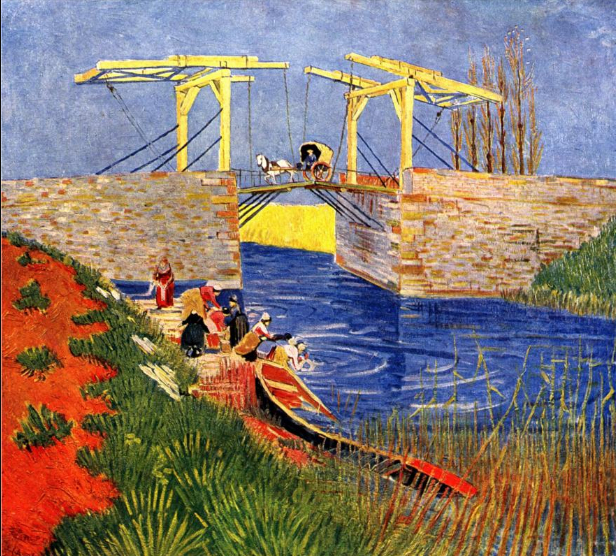 His work grew brighter in color, and he developed the unique and highly recognizable style that became fully realized during his stay in Arles in 1888. Tags: Vincent Van Gogh Drawing Style and Techniques, Vincent Van Gogh Painting Skills.